Mr. Ravi Trivedi is the founder of PushEngage.com, a leading platform for browser push notifications, which is currently live in 105+ countries. Earlier he founded CouponRani.com, a top coupon site in India with over 1M unique visits. He is a growth marketer, a bootstrapped enterpreneur, with hands on marketing experience with running online businesses in India and US. He also does angel investments and has made 7 investments in digital startups. 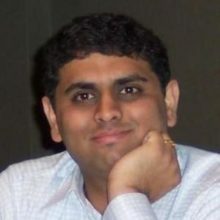 Ravi completed his MBA from Duke University, Fuqua School of Business and has a Masters in Computer Science from Indian Institute of Science, Bangalore.